Sir: I am writing to join with Monte McNaughton (Lambton-Kent-Middlesex PC) and Bev Shipley (Lambton-Kent-Middlesex CPC) Bob Bailey (Sarnia-Lambton) along with Tim Hudak in their call for a moratorium on the continued development of wind turbines in our area, at least until the Health Canada research study is completed in 2014. 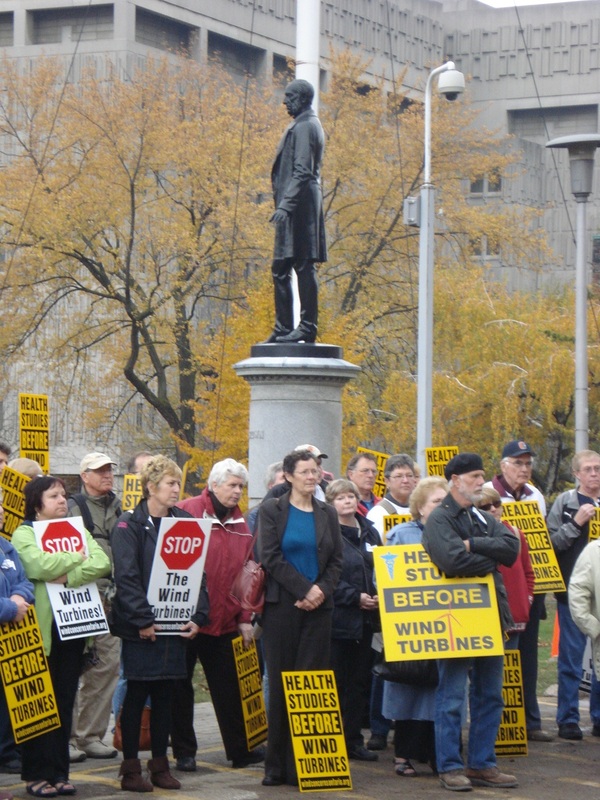 Those of us who live and work in the area of development are working hard out here in rural Ontario, to get the message to Premier McGuinty that there is massive opposition to all wind turbines that have already been put up as well as those which are in the development stage. Information is the key to our opposition, because it seems that as more and more information on the costs and the health effects are disclosed to the constituents in Ontario, the more the opposition grows against green energy. The Green Energy Act which the government enacted, is in direct contradiction to my rights as a citizen of Canada. The act takes away the ability of our local municipal politicians to act on behalf of their constituents. Even though the Liberals were re-elected in the last election, it was by a thin majority and without any support from rural Ontario. They will have to run again in the future, and I for one will be getting out of my chair and working hard to make sure that they are not re-elected again. I can only hope that the damage that they are doing to our landscape out here in rural Ontario is not too far gone before that happens. Posted on July 23, 2012, in Bev Shipley, Bob Bailey, Health, Monte McNaughton. Bookmark the permalink. Leave a comment.